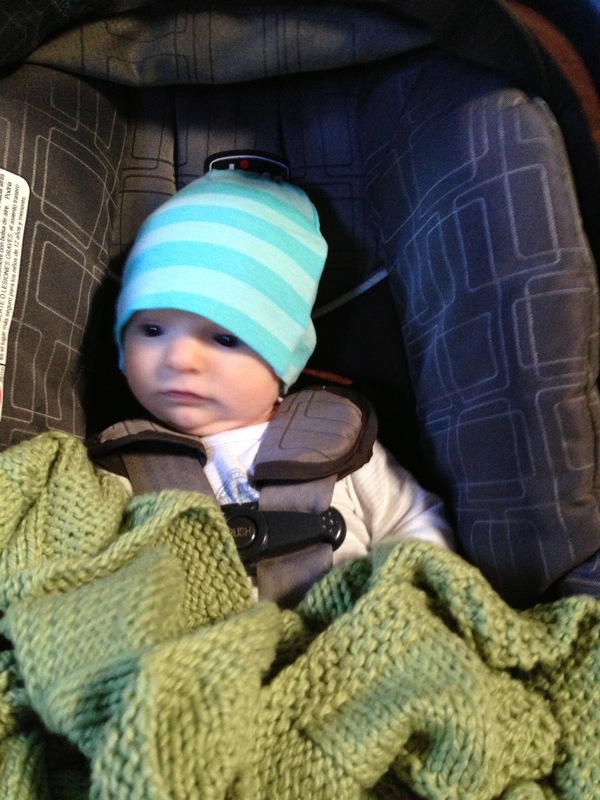 The Muffin Man hates his car seat. I'm talking about a hatred so pronounced that he screams at the top of his lungs whenever I strap him into it. As you can imagine this makes it difficult to go anywhere that is not within walking distance of our house. Since we live in LA and therefore driving is a necessary evil, I force the little guy into his seat a couple of times a week, for which I am rewarded with the car ride from hell. The stroller I use when I'm out running errands is the kind that the car seat snaps into, so unfortunately, Noah gets no relief from his anguish simply because we've arrived at our destination. If I'm out having lunch with a friend I'll take him out and hold him so that other diners are not disturbed by my child's wails. Here's the problem: two times I've put him back in his car seat and forgotten to strap him in before going on my merry way. Essentially I've put my kid into a moving vehicle without a seat belt and driven around the roads of death that make up Los Angeles. I am pretty sure this is yet another reason I could be arrested for child endangerment, or for being an unfit mother. On the plus side the immense guilt I feel will hopefully prevent me from doing this again, and it gives me lots to talk about with my therapist next week.